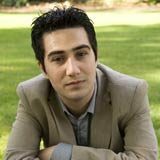 A graduate of the Melbourne Conservatorium of Music, University of Melbourne and the Australian National Academy of Music, he has received numerous awards and scholarships. He has performed concerti with orchestras including the Sydney Symphony, Melbourne Symphony and Melbourne Chamber Orchestra. As a chamber musician, he is pianist with the acclaimed Benaud Trio winning the Piano Trio prize at the 2005 Australian Chamber Music Competition.